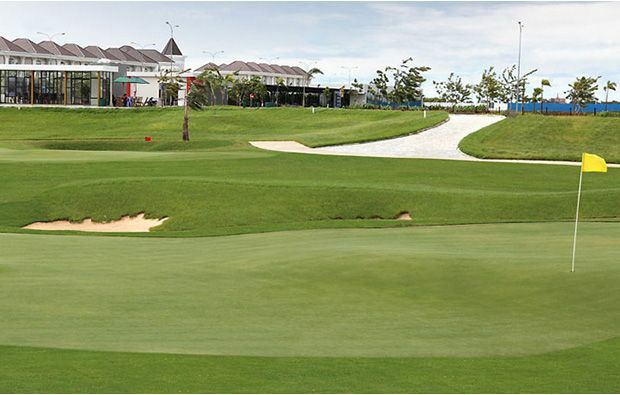 A pretty gentle start to your round which opens with a medium-length par 4 that require you to negotiate the left side of the fairway which is protected by two bunkers. This gives you the best angle into the green. Then it’s on to a long par 5 which plays very differently depending on which way the wind is blowing but keeping it left shortens the hole and if you can avoid the second bunker in the middle of the landing area for your second shot then you should reach the green in regulation. The 3rd is the shortest par 3 on the course and the skinny green is well protected on both sides by sand. The 4th is s short par 4 and most of the problems are on the green which has a valley running through the middle and if you get the wrong side you are inviting a 3-putt. The 7th is a difficult par 5 which demands an accurate tee shot to a narrow landing area protected by a fairway bunker and you need to flirt with the lake along the right to get the best angle into the heavily protected green. The 8th is a short and almost driveable par 4 and the 9th is the longest but not too much trouble except for the tow bunkers in front of the green. 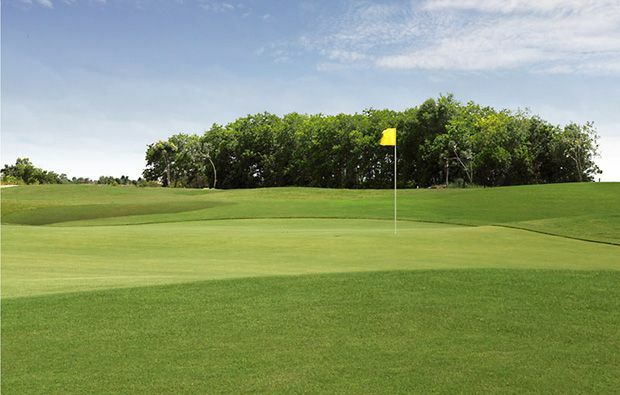 The back nine begins with a medium-length par 4 playing to a fairway with bunkers on both sides and you may need to play close to them to get set up for your approach. 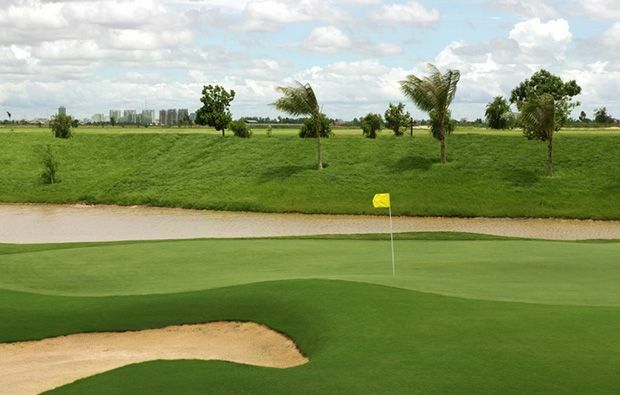 The 11th is a medium length par 3 with a sandy waste area guarding the right side of the green and the 12th is short dogleg par 4 and you have to decide how much of the water to take on – the more you bite off the closer you will get to the green. The 13th is the shortest par 5 which can be shortened even further if you are brave enough to flirt with the fairway bunkers. Then it’s on to the shortest par 4 on the course and the green is reachable but is heavily protected by bunkers and is quite small. The 14th has a lake protecting the entire left side of this medium length par 4 so most people will play along the right side but if you are too conservative you will catch the fairway bunker – not too much problem around the green. 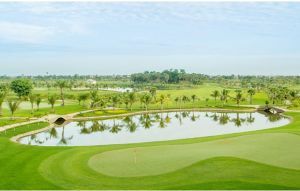 A tough finish as you have to negotiate the longest par 3 with a lake all along the left, followed by the longest par 5 with a heavily protected green and then the longest par 4 which requires correct positioning off the tee for the best approach. Excellent facilities at the course including luxurious locker facilities, restaurant, spa and sauna. 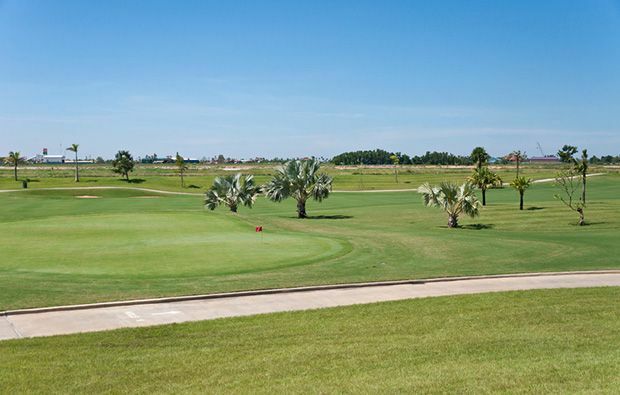 We can help you secure the perfect tee time at Grand Phnom Penh Golf Club and save you money at the same time using our excellent green fees. 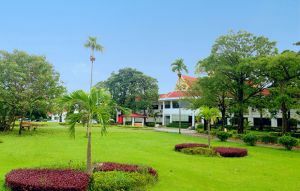 Grand Phnom Penh Golf Club has different Services to offer. Choose a date and number or players to see the rates.